Are you getting ready for the big game? 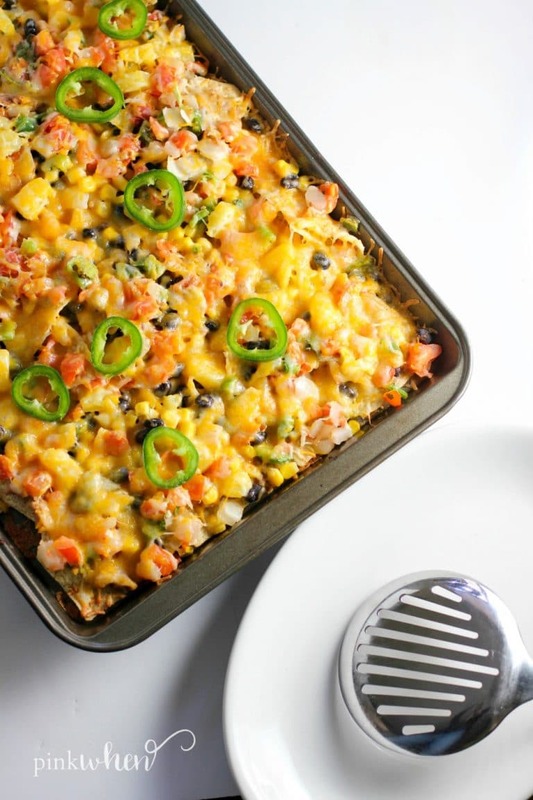 If so, you need to add these Ultimate Game Day Chicken Nachos to your menu. Not only are they delicious and full of flavor, but they are simply irresistible and surprisingly easy to make. If you’ve got 20 minutes and a handful of ingredients, these ultimate game day chicken nachos are a HIT! Not to mention, the secret ingredient used is my favorite Dole item, pineapple! Whenever we have a big game, we like to indulge in some awesome snacking recipes. We have our favorite go to recipes, and this ultimate chicken nachos recipe is one that always makes the menu. 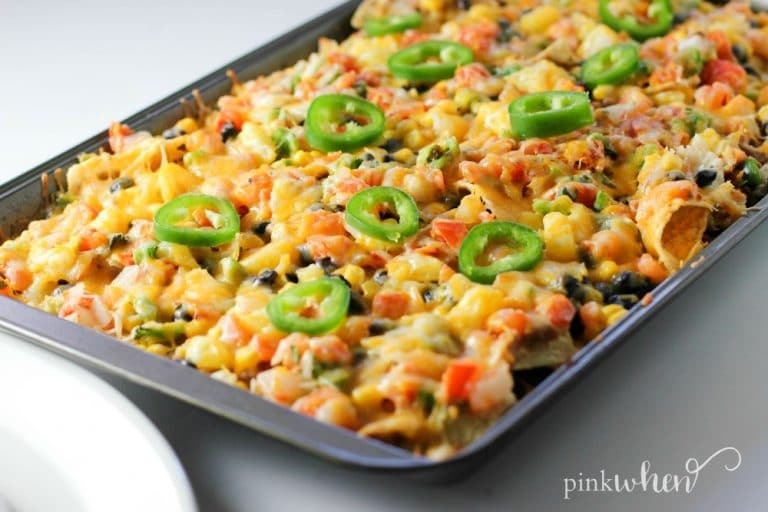 The only problem with making these nachos is that they will go fast, so make sure you have extra supplies on hand because you might be making a second batch for your party. 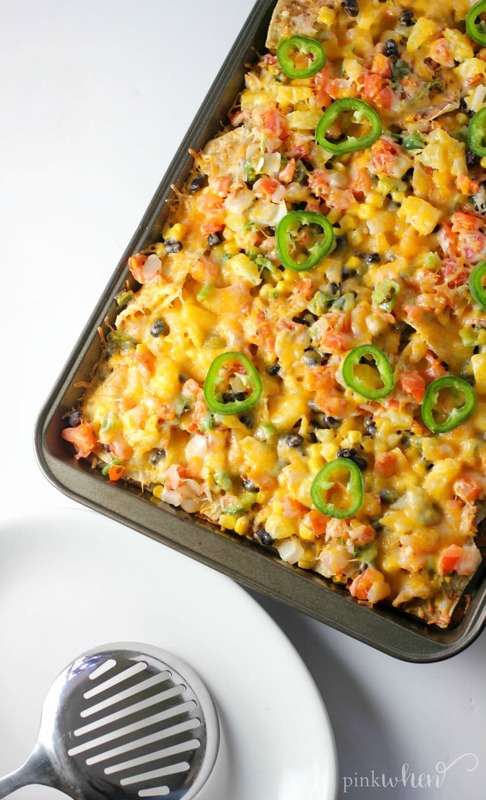 Just what makes these nachos better than the others? How about a rainbow of flavors! You also won’t be able to believe just how easy these nachos are to make and the ingredients are something of a surprise. In fact, one of these most surprising ingredients is the delicious pineapple chunks from Dole Sunshine. It totally makes the flavor, and these nachos won’t be the same without them. To get started, heat your oven up to 300. 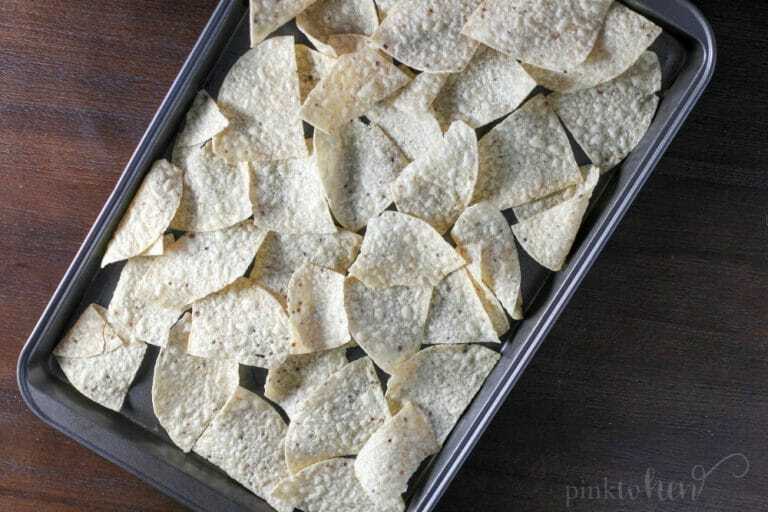 While the oven is heating up, take a large baking sheet and spread the tortilla chips out in an even layer as best as you can. Make sure to cover the entire sheet. Cover the tortilla chips with the refried beans (it’s easier to spread evenly by using a butter knife). Then cover with black beans and corn. Mix the pineapple with the Pico de gallo, and then cover the nachos with the Pico and pineapple mixture. 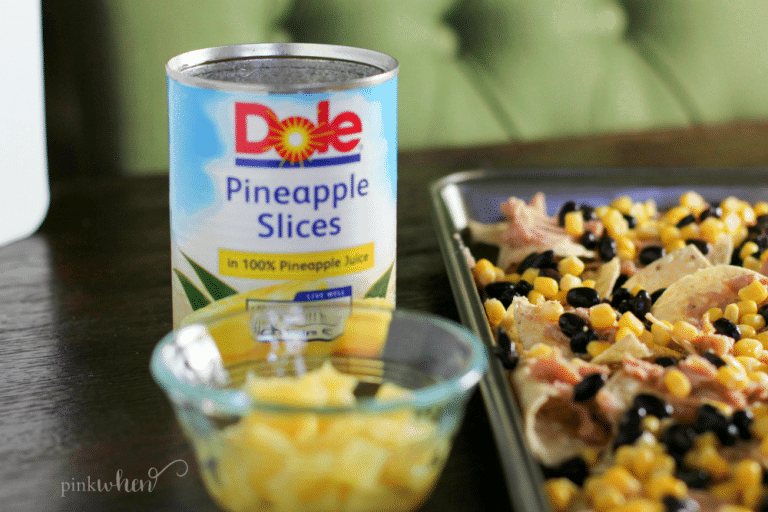 I love using Dole pineapple with this recipe because they carry only the highest quality non-GMO fruits and vegetables, all packaged with care. Cover the recipe with the shredded cheese, and then bake in the oven for 10-15 minutes until the cheese is fully melted and lightly golden. Remove from oven and allow to cool. Take the diced jalapeno and cover the nachos before serving. Oh oh oh!!! These are so amazing, and seriously so easy to make. I love fun game day recipes, and this is definitely at the top of the list. What are your favorite game day recipes? 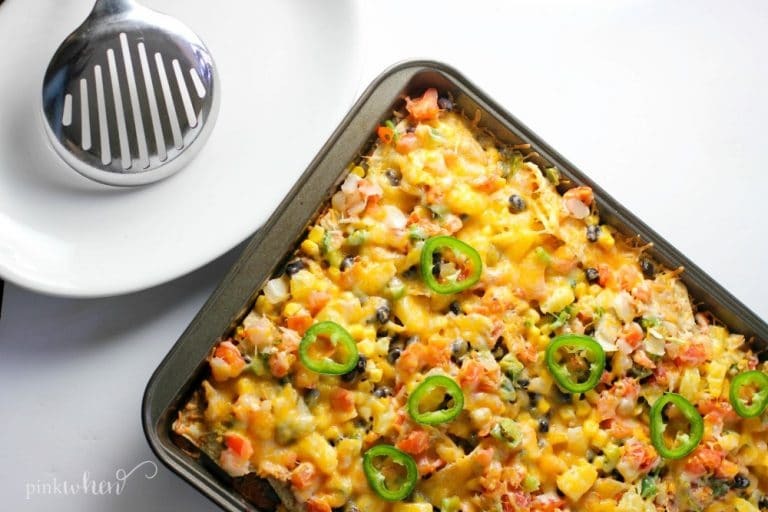 If you love nachos, you need to add this recipe for ultimate game day chicken nachos to your menu. You won’t regret it! Thank you again to Dole Sunshine for sponsoring this post!